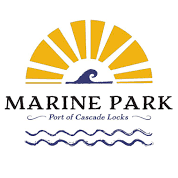 The Marine Park welcomes thousands of visitors each year for sailing, fishing, camping, picnicking, and special events. The Marine Park is the perfect place to enjoy the breathtaking views of the Columbia River Gorge. Park amenities include free parking, a children’s playground, open lawns, picnic tables, public restrooms, beach, boat ramp, and marina. While you are here, plan to tour the Cascade Locks Historical Museum and take a sightseeing cruise aboard the Columbia Gorge Sternwheeler riverboat. Within the park, you will find a footbridge over the historic locks and canal to Thunder Island in the Columbia River. The island is open to the public, and provides unique views of the Bridge of the Gods just downriver. The Marine Park offers a variety of indoor and outdoor venues for special events for your group of 5 or 500. Contact the Port for your next birthday party, baby shower, wedding, or reunion. Click here for more information on facility rentals. What’s going on in Cascade Locks? Check the Annual Festivals and Events page for calendar dates and helpful links. Also, visit the Things to do tourism information page for the Cascade Locks Community. Call the Port today about renting Marine Park facilities for your next special event!